Saving Country Music as a site for reviews and opinionated forums, has become a great repository for all things dealing with Americana and Country Music. Whether it be articles on the sale of the Grand Ole Opry, putting Big Machine in check or calling out great new albums, Triggerman, never fails to be informative and on point. If you agree with him great, if you don't, who really cares, as the site is based on one individual's view point, on how Country Music needs saving. This is where things get rather interesting and somewhat dicey though. The comments and mud slinging at the bottom of each post can become all out war and it is a fray in which I think some enjoy pushing as many buttons as possible. Regardless of all the conjecture, the topics raise awareness and bring to light the main issue of supporting independent and what we refer to as "Real Country Music." The article below from Saving Country Music, raises quite a few good points concerning diversity within America. Folks love to talk on how much culture urban areas have and we couldn't agree more. Hopefully though at some point, main stream media will realize that those of us from the "sticks" have always had culture, it just happens to be our own. This "Shorebilly" is damn proud of his roots. "In early October, a 92-year-old retired engineer named Bobby Hogg passed away in the little town of Comarty, Scotland. The death was significant because Mr. Hogg was the last speaker of a local dialect called “Comarty fisherfolk” that now only exists in a few brief audio clips. Many of the villages of northern Scotland have distinct dialects, and as time goes on, they become lost forever as elders pass away and the younger generations slowly drop their native accents in place for the more common pronunciations. But where the greatest diversity of culture exists in America, especially when it comes to dialect and musical styles, is in the rural states and counties; that red area that Obama didn’t take in the election. Cities and suburbs are much more likely to be gentrified to the more common American culture spread by popular media and entertainment than rural areas are, obviously with some exceptions. In fact when you look at the culture of America’s rural areas, it’s is usually lampooned by the rest of the country’s culture, especially the dialect. “Rednecks” and people from the country have been a mainstay of comedic fodder for over 50 years. And now, entities like CMT, who are supposed to be for people of the country, by people of the country, are themselves formulating television series around making fun of “rednecks” in shows like Redneck Vacation and Redneck Island. Miss Redneck of the Year (2007), Rawni White. Meanwhile the negative connotations in media about redneck culture are making many people in rural areas flee from their native habits to adopt customs more indigenous to urban locales, giving rise to country rap with artists like Colt Ford. Jason Aldean’s country rap “Dirt Road Anthem” was the best-selling song in country music last year for example. At the same time, the power of pop country is causing similar gentrification in suburban and urban zones as it encroaches into areas it is not indigenous to either. I’ve always found it perplexing how Americans generally look at the varying cultures of the rest of the world with interest and appreciation for their diversity, but seem to be unwilling to do so in their own country and community. Our differences are something that need to be resolved, whether by promulgating our political or religious beliefs on other people, or trying to promote our products or culture to people who it might either be foreign to or downright unhealthy for, usually for the purpose of financial gain. Similarly there is a demonstrative focus on preserving rare or endangered animals and plant species, or historic buildings or artifacts. We will stop the whole of human progress for concerns over an endangered strain of the titmouse. But those rednecks living out in the rural part of the county need to understand that the old-school agrarian life is gone and they better contemporize or risk being branded closed-minded. Yes, many racist, judgmental customs should be a thing of the past, but not at the sacrifice of what makes these people and their customs unique. 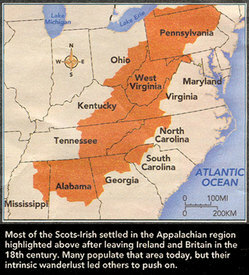 When the American South was populated, many times by native Scots and Irish that brought their folk instruments and musical learnings with them, a vibrant tapestry bloomed all across the Southern region with distinct musical dialects representing the geographical and genealogical makeup of the areas where they were founded. As people moved West during the gold rush and the Depression, they carried their musical cultures with them that then intermixed with the landscapes and labor they found there, giving birth to even more individual musical dialects. Many of these varying styles and dialects would come together at institutions like the Grand Ole Opry, and this in part was how the big umbrella of country music was formed. But the differences in styles was something that was always celebrated instead of something that was attempted to be resolved to increase the economic potential of the music. They understood that the loss of the diversity may result in long-term decay of the musical format, even though it may garner short-term financial gain. Ironically, it is not the mainstream, nationally-focused musicians that say they want to destroy the diversity in American music. 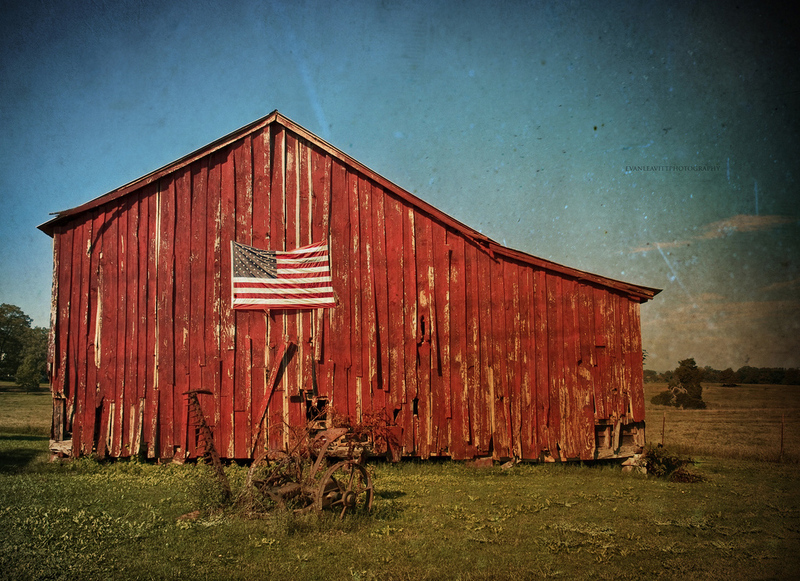 Many go out of their way to tell you how country they are, citing very specific artifacts of rural life to prove it, many times to take the sting away of the actual music itself being more rooted in rock or hip-hop modes. It is the roots-based musicians who do not have the benefit of the country genre’s industrial machine that tend to speak out and say that genres don’t matter any more; artists in the loosely-defined “Americana” world. Meanwhile radio may be the the most-obvious place where our differences are disappearing. When Clear Channel cut hundreds of local positions at stations in rural media markets last year in favor of nationally-syndicated programming, this also disproportionately effected the rural/red zones that are so rich with cultural diversity. Just like rainforests and wild areas around the world that are held back from development in conservancies cited as being vital to ecological and economic sustainability, America’s rural areas as robust cultural generators are just as important in sustaining the overall health of the greater cultural landscape. Things are always evolving, changing, and coagulating together, and wringing your hands over it in some respects is foolish. At the same time, if the “melting pot” theory of how America became the greatest nation on the planet is true, then there’s nothing more important than protecting that diversity for the long-term preservation of the world’s greatest economic engine and mouthpiece for freedom. And this would also be true in protecting the diversity of any country or region for them to live up to their greatest potential. In other words, the destruction of America’s distinct musical dialects is not just a musical problem."